In 2018, Tsukuihama beach, in Yokosuka city will play host to the Fly! ANA Windsurfing World Cup. 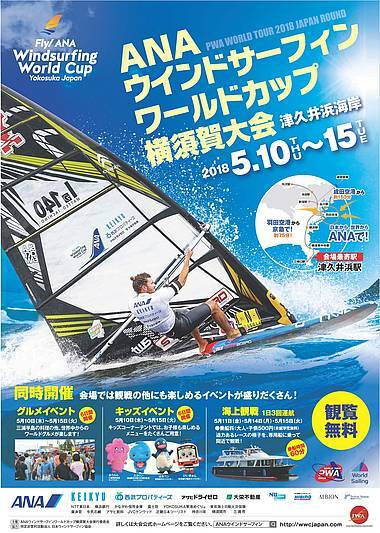 The finest Slalom sailors from around the globe will congregate in Japan from the 10th to 15th May to continue their quest to secure the title of Professional Slalom World Champion.